My mom was a wonderful cook and baker. One of my favorite foods growing up was chicken. I love chicken. Yum! Often mom would serve mash potatoes and sliced tomatoes and cucumbers with the chicken. Nothing fancy, just good home cooking. I have so many wonderful memories cooking with mom. I'm happy I get to share my family recipes and recipes that I create with y'all. What was your favorite food growing up? Leave me a comment below. Love to hear from y'all. Preheat oil to 350 degrees. Cut chicken into long strips, set aside. Beat eggs in a bowl, add couple of dashes Louisiana hot sauce. In separate dish add bread crumbs and add minced onions, mix. Season chicken with garlic powder, salt and pepper. Fry chicken in hot oil for about 7 to 8 minutes, or until golden brown. Remove chicken and place on paper towel lined dish. Serve with honey mustard. Enjoy! Mix all ingredients in a small bowl. Serve with chicken. Enjoy! 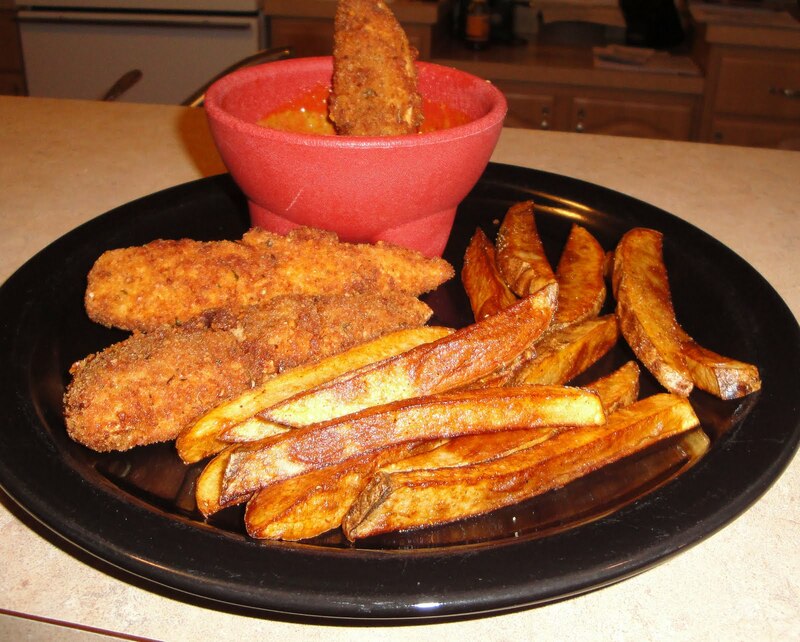 This is an excellent recipe for the chicken strips, and the honey mustard is so yummy...perfect for dipping the crunchy chicken strips into it. Hi Christine! It's funny both of us talked about our moms in today's post. 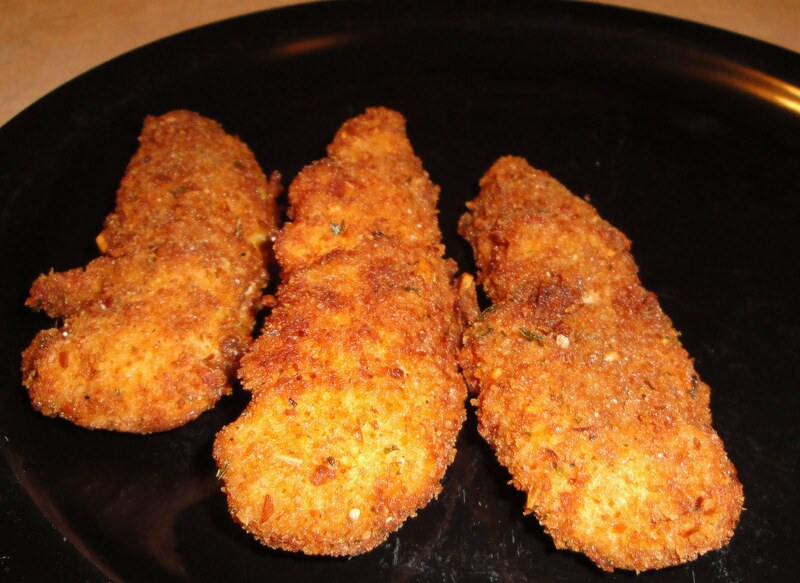 I wrote Korokke (Japanese Croquette) is my favorite among all the food my mom cooked. Here, you are talking about your mom's cooking. Sounds like you grew up in a home with delicious food all the time. :-) I love your homemade honey mustard sauce! My favorite food growing up was mac and cheese! Cant go wrong with chicken fingers either, especially with honey mustard! I still love a good Mac N Cheese. Growing up we would add sliced hot dogs to the Mac N Cheese. I also love grilled cheese sandwiches. I have a lot of favorites. The memories of Mom's cooking is always the best. I would battle to come up with a favourite though. Very yummy with honey mustard for sure. Cooking Rookie, I love chicken. I love creating new dishes. Thecompletecookbook, I have a long list of favorites too. Nami, it is funny how we both was talking about our mom in our last post. Yay for Chicken Strips, especially when they have Louisiana hot sauce on them. My favorite dish from Mama was roast beef with mashed potatoes and corn. Coming in as a close second was her gumbo,it was off the hook!! What a great recipe! One of my favorite dipping sauces is honey mustard! This recipe is really tempting, I'm going to try it. Sounds so delicious! I found you at chezwhat and I'm following you from Trapani, Sicily. Hi Ciccia, glad you found me. Welcome!